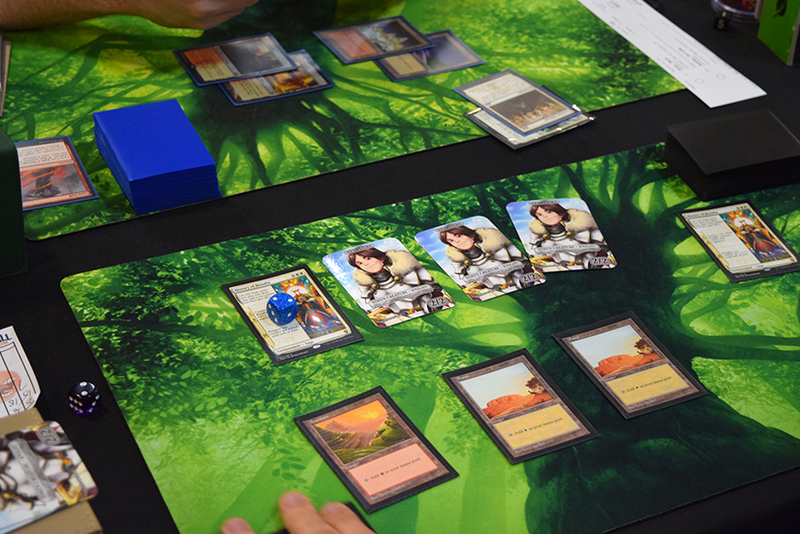 In this dual-Grand Prix debut of Guilds of Ravnica Standard (both here and in Lille, France), there's been a lot of comings, goings, ins, and outs. Here are some of the highlights from just the first day, but that was only have the tournament! They were fighting side by side earlier in the day. 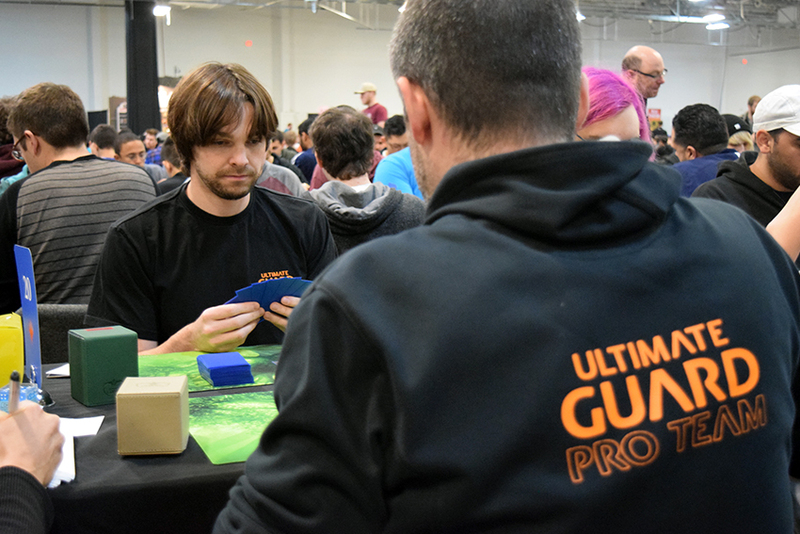 But during Round 13, a titanic match-up happened in the 10-2 bracket — (3) Reid Duke against Ultimate Guard Pro Team teammate, friend, and Pro Tour Hall of Fame member William “Huey” Jensen. 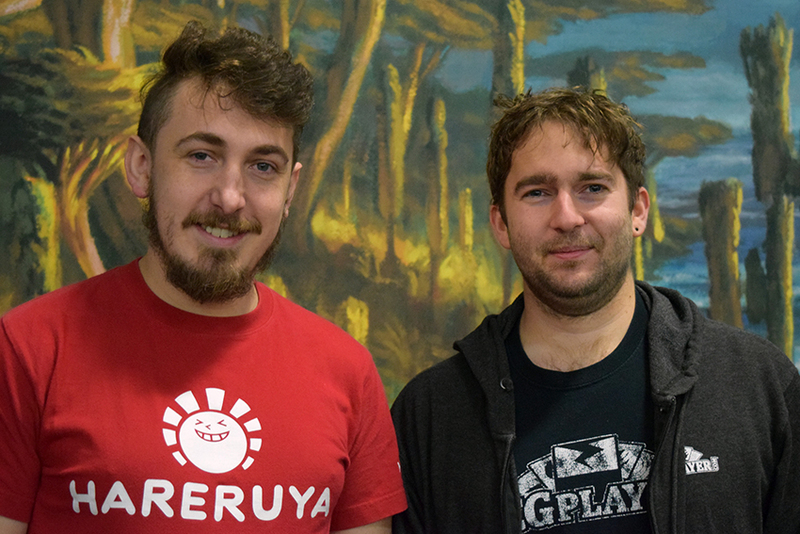 They had brought the same Boros Angels deck (-3 sideboard cards), and were all set for a huge match with Top 8 hopes on the line. But, sadly, it was an anti-climatic match at best — rousingly disappointing at worst. 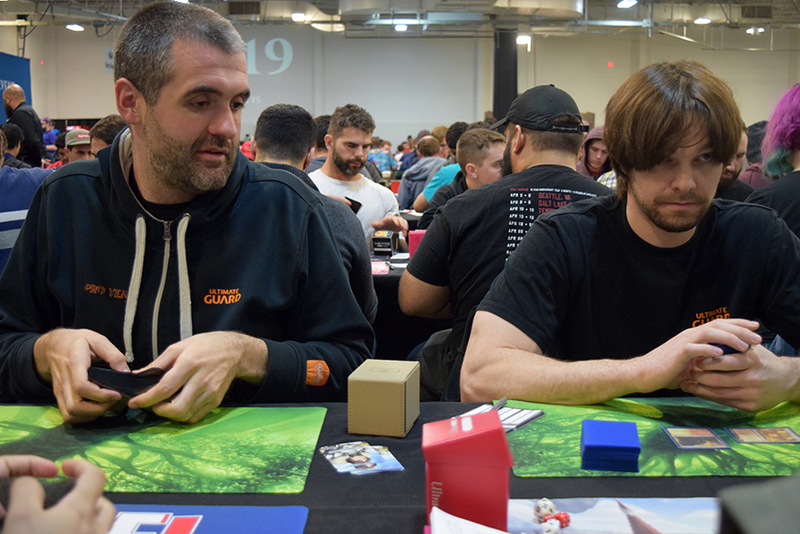 In Game 1 Reid missed his third land-drop; Huey missed his fourth in the second; and then back-to-back History of Benalia from Huey spelled Duke’s death once both Benalia stories were told—which closed the book on any potential Top 8 berth for Reid. Jensen 2 – 1 Duke. After the match, Reid and Huey talked about the match itself (“It was dumb," Huey said), but also about the Boros Angels list, and its prospects going forward. The origin of the list was easy. “I copied Brad," Huey said about eventual Finalist Brad Nelson. Well, thanks Huey. But he went on to say how his schedule didn’t allow for the amount of testing he would usually do for a tournament like this, and clearly trusted Nelson’s prowess. 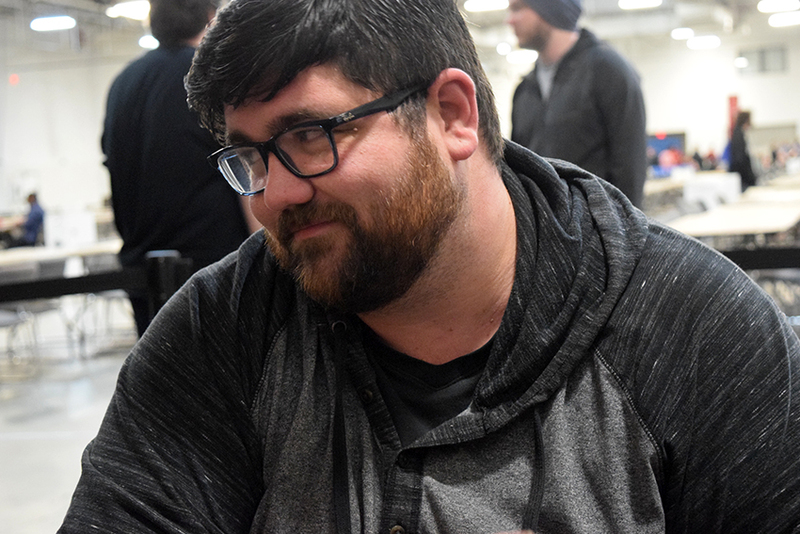 Later when discussing whether or not he agreed with Nelson on certain aspects of the deck he said, “I think Brad thinks about Standard on a level I’m not capable of," with a bit of a sly smile. He felt in good Standard hands. “It’s not well equipped to deal with Control, so we were taking a bit of a gamble..." Reid said, and although Jeskai Control is decently represented, it showed up in lower numbers than some predicted. Teferi is the once, but not-yet future king. A bit reason that Nelson had felt strongly about the deck, was its strength against Izzet Phoenix. Playing Angels definitely ups your flying game. But Nelson was particularly proud of the sideboard. He referenced his famous deck from Khans of Tarkir Standard, "Boros MAC," which had a meticulous, quasi-transformational extra 15 cards that allowed for greatly flexibility than decks at the time usually allowed. Though part of what’s important about the sideboard is what it’s not playing. Duke summarized the main points about it by saying, “the big things are Dire Fleet Daredevil ... and a removal suite that emphasizes exiling." It a world full of recursive threats, Seal Away can be a ruler. But it’s certainly more than just a metagame call, even if it isn’t the best strategy in the room. “It can never really be a bad deck," Reid said. Huey added, “The deck has synergy, but it doesn’t need that synergy to win." Sometimes you can just cast a five-mana Angel and beat down. “It does have 22 Mythics," Huey chuckled. Both Huey and Reid felt the deck was a success, even if only one of them might make the Top 8. Though the match was a bit of a heartbreaker for Reid, at least the two got to be side by side again, rather than facing off. The Player of the Year is Here! – Just Don’t Know Who It Is! “I like the excitement a lot — all the people, all the coverage. It makes me even more excited!" 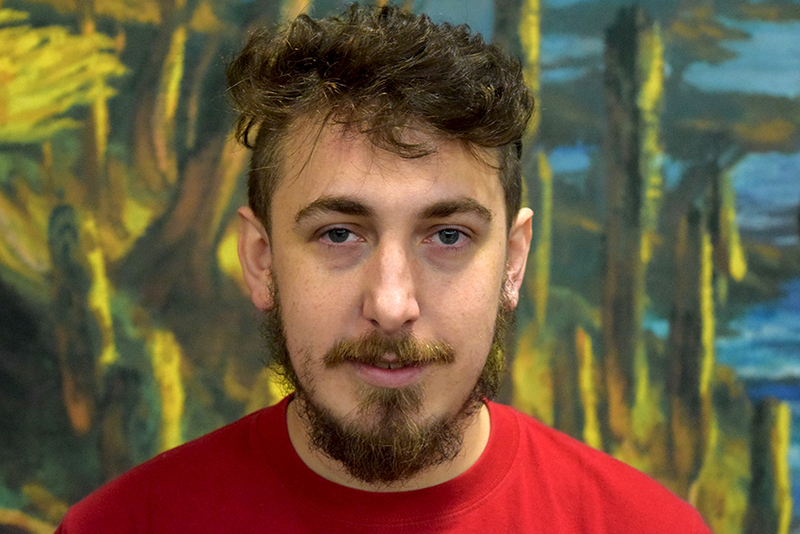 Luis Salvatto said about his upcoming Player of the Year playoff against Seth Manfield at Pro Tour Guilds of Ravnica in Atlanta next month. It’s the first time in eight years (and only the second time ever) that the Player of the Year race ended in a dead tie. And as is becoming tradition 'round these parts, the way to settle disputes like this one here is a good ol’ fashion duel. As was announced here, it will be a best-of-seven games using a modified Standard Constructed format. Check out the article for detailed breakdown, but the long-and-short is each players builds four 60-card, no-sideboard Standard decks, and must win a game with each deck to become the 2017–18 Player of the Year. 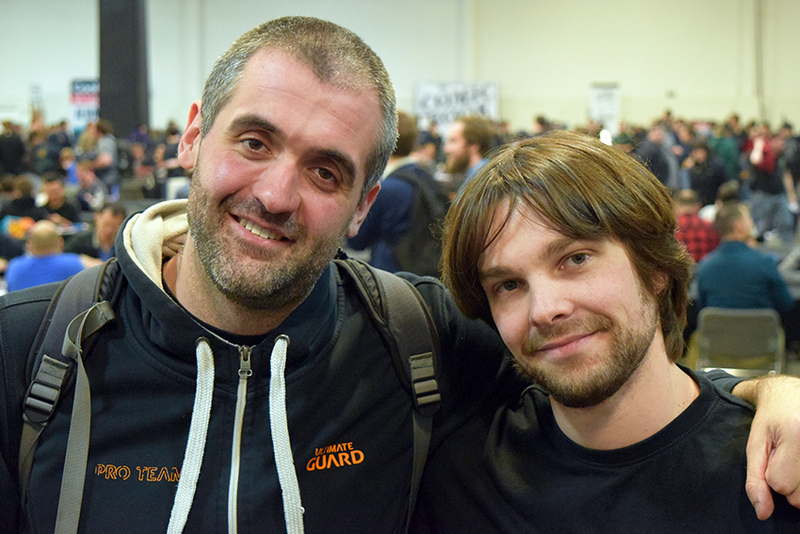 Both players were here this weekend, and hanging around the top tables as usual. What was slightly unusual was this was the first Grand Prix together since their announcement that regardless of the playoff’s outcome, they will be on the same team at the Team Limited Grand Prix Liverpool. We are playing against each other for PoY but that doesn't mean we can't team together for a GP right? When the top 2 players from last year work together you had better watch out! Looking forward to running Liverpool with @LuisSalvatto and @fransifper. They were happy to talk about the their thoughts in the upcoming monumental playoff. “I think my chances are about 50%. I’m happy about that," Pro Tour Hall of Fame–elect Manfield said about the tournament. He barely smirked revealing his joke, but his characteristic dry delivery was perfectly subtle. He quickly got a bit more serious. Slightly. “It’s going to be fun," Manfield said. “I’m going to have people there for the Hall of Fame ... the ceremony is a few hours before, so that will be great." He said his mother, daughter, sister, and a bunch of close friends will get to watch him play, which is a rare event for Manfield and will be cherished. Another reason for the title’s importance to Salvatto is the validation. “You know, people say sometimes, you know, 'He’s lucky’ or whatever—sometimes, you start to believe it yourself. And, look, I am lucky, for sure," he laughed, “but consistency to be the best player for an entire year is something special." “I try to be a good example," he added. “And many times that is about being a good loser. I want to show that you can play at the highest levels of the game and still be ..." the Argentine searched for the English word, and though he didn’t find it, I imagine “magnanimous” or “gracious” would have sufficed. 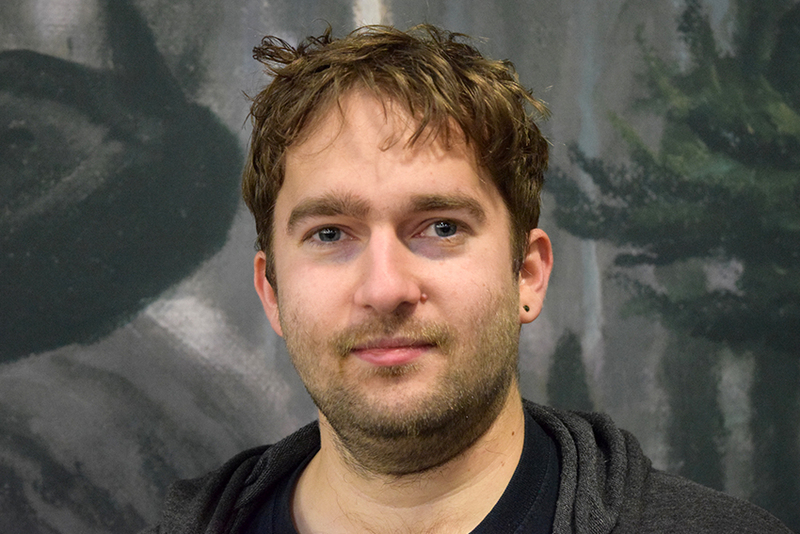 “When you lose a win-and-in at the Pro Tour, it’s really easy to forget that just a few years ago, when you were playing something to try just to quality for the PT and saying 'Qualifying is my dream,' but it’s hard at that time. You can forget to enjoy the moment." 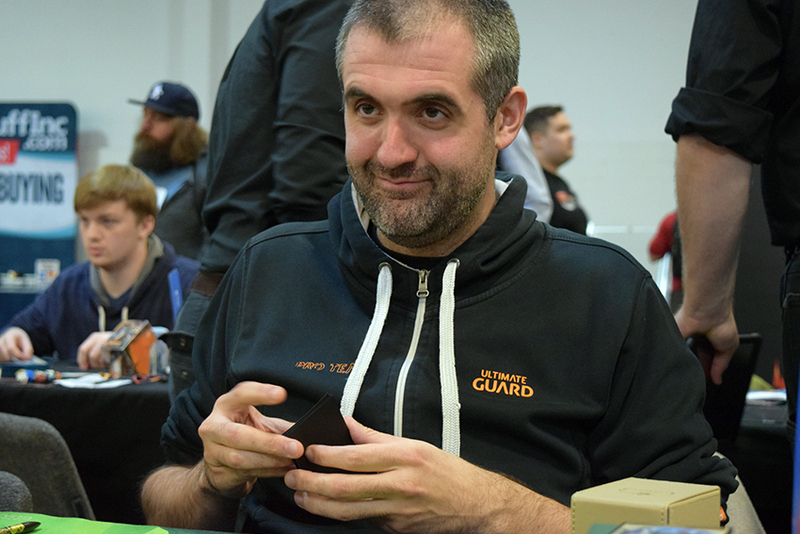 For Manfield, who’s been playing at the highest levels of Magic for longer than Salvatto, and almost even nabbed the crown once before, he was a little more reserved with his thoughts. “I just hope I’m not affected by the result ... wait," he paused to reconsider. "... If I win, I’m hoping it will affect me, just not if I lose." He laughed. On the never-before-played format, Salvatto said, “I think it’s fair. To be honest, I like that the decks are a bit known commonly. Because, you know, otherwise Seth’s team is much better at the pre-tournament prep than our team, and I would fear I’d be at a disadvantage." But what he didn’t know, was that Manfield wasn’t counting on his teammates too much anyway. When asked if he thinks he expects him team to help as much as Salvatto fears, he said, “I really don’t ... I think they want to help; I think they intend to help," he continued that with the Pro Tour immediately following the event, “if I were in their position, I’d have to first and foremost worry about myself before I could help someone else." “Basically we have to prep for two tournaments," and mostly on their own. That’s just how badly you’ve got to want that Player of the Year title. 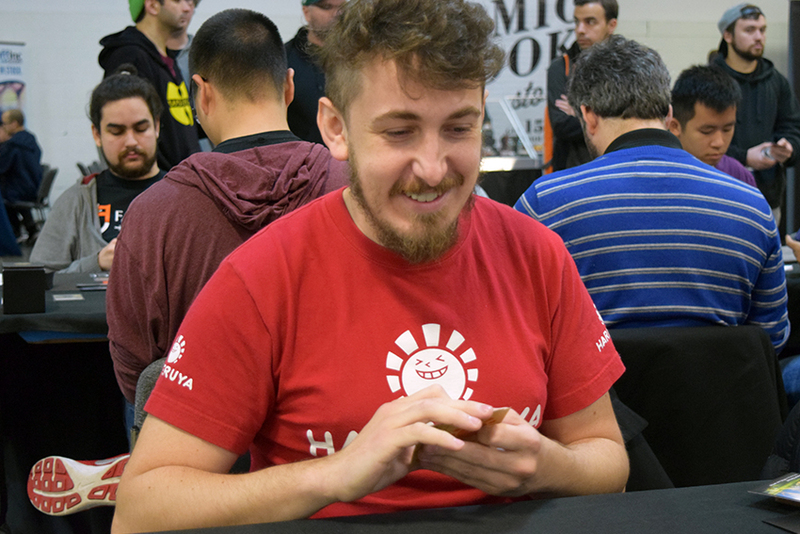 Manfield said he didn’t expect too much shenanigans—as the Standard format will have been closely studied already. But he caveated, “Maybe one of the decks could be something kinda 'out there’." “There are a couple decks that I haven’t seen here [at the Grand Prix] that might do well..." he was rightly coy about revealing just what decks he was referring to. Suffice to say, I’d like to see him bring at least one. But with all that said, it’s clear their ready to leave whatever happens on the battlefield, and not take it with them—after all they’re playing together at the next team Grand Prix. “It’s insane that we are playing together in Liverpool—that’s insane, right?!" Salvatto said. “Two months ago, I teamed with [Francisco] Sifuentes [for the GP], and I joked that he would play on a team with the Player of the Year. Now that is definitely true." Opponents at the highest stakes in the game, and teammates soon after. Amazing. 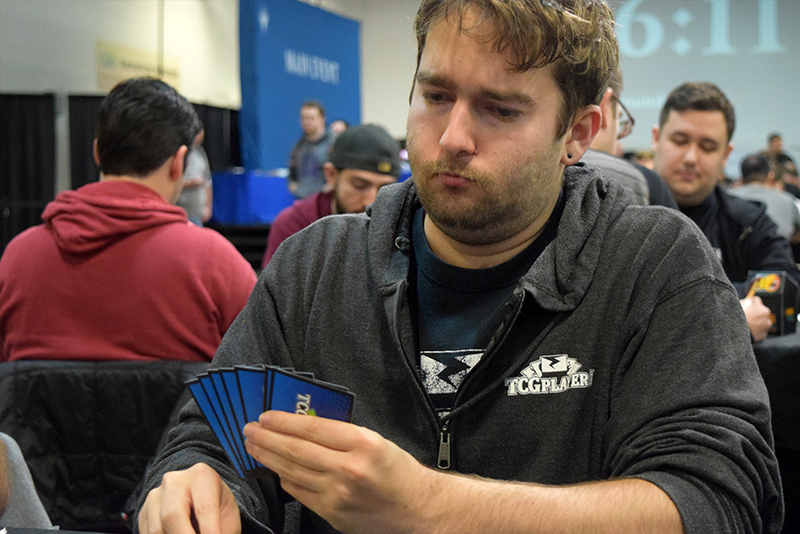 At the beginning of the weekend, fourteenth-ranked Brad Nelson walked us through the evolution of new Standard formats and how we got to this exact weekend. 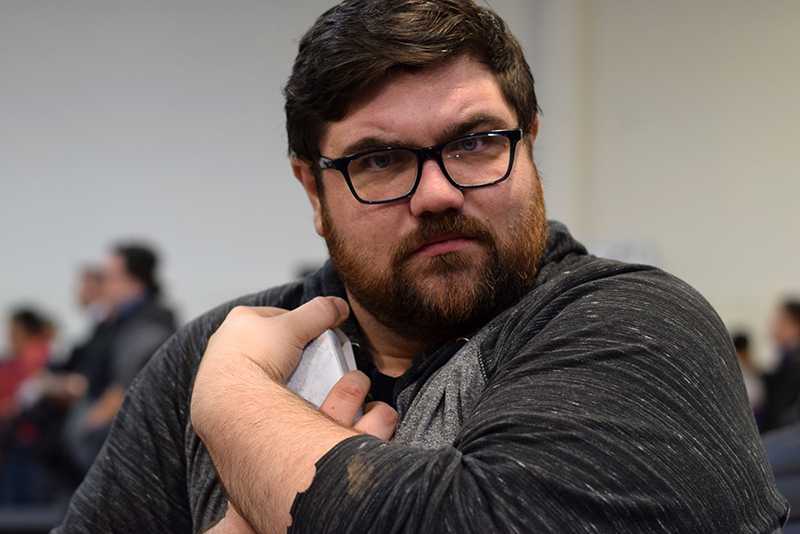 He went off the record with a lot of his actual reasons for playing his newest creation this weekend (he repped an article coming out this week about it in his Top 8 Profile), but in broad strokes, he thought Jeskai Control would underperform due to Carnage Tyrant, Adanto Vanguard and others, so he made a deck strong against everything but Control — a techy sideboarded Boros Angels. 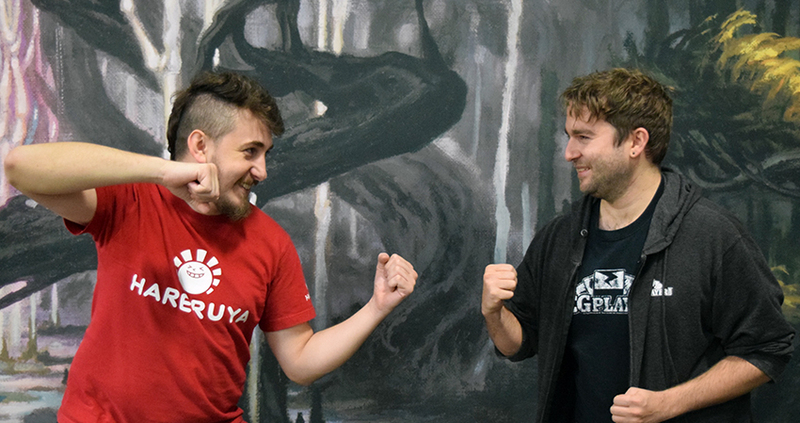 He convinced the entire Peach Garden Oath to play the deck (see above), and it looks like his assessment of Standard was spot-on enough to get rewarded with a Finals appearance—in the same place his brother Corey Baumeister won a Grand Prix just a year ago. The resurgence of his Boros MAC deck from years ago was well worth it. However, there was one key detail Nelson didn’t account for — facing Jeskai Control in the Finals. 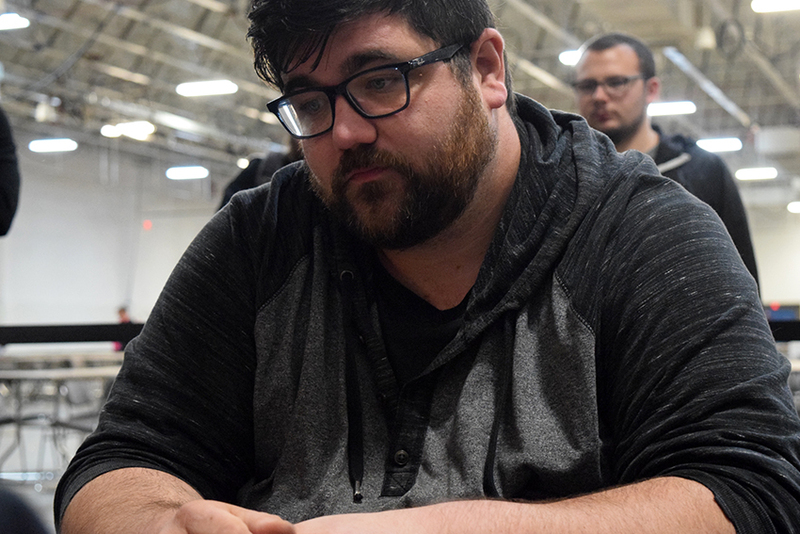 Eli Kassis, the eventual champion, was responsible for 50% of Brad’s losses over the weekend, which hit that halfway mark in the Finals. The match-up is so bad for him, he actually shouted out loud, “I got one, guys!" after taking an unexpected second game. As he clearly predicted before the Finals and during, he lost in spectacularly-drawn-out fashion in the last game (Teferi decks and do that sometimes), and had to settle for the plaque. If it wasn’t clear enough already, there might not be a better Standard mind in the world right now than Brad Nelson. And we’re excited to see what he brings to the Pro Tour in a few weeks! 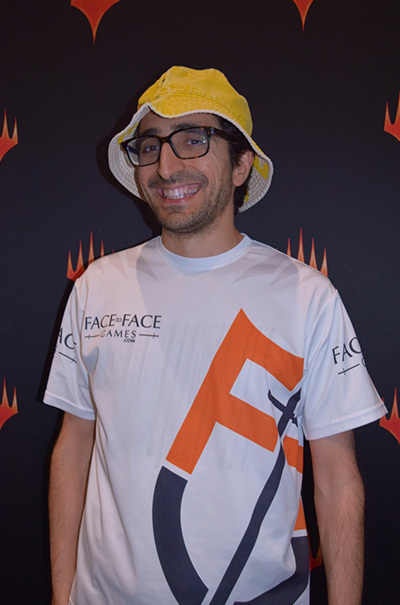 Five-time Grand Prix Top 8er, Eli Kassis has always had a slight swagger and confidence to his demeanor. Not to be mistaken for arrogance (although maybe just a little... J), Kassis is methodical with his thoughts, words, and actions, which is why a deck like Jeskai Control suits him so well. On his way to his sixth Top 8 and first win, he systematically tore down everyone around him like Carnage Tyrant wasn’t even in the format. Much ballyhoo has been made about the fact that Control has very specific weaknesses that it hasn’t quite figured out how to overcome, but maybe it just takes iteration. Kassis got in about thirty leagues with the deck on Magic Online and this weekend always seemed totally in control. 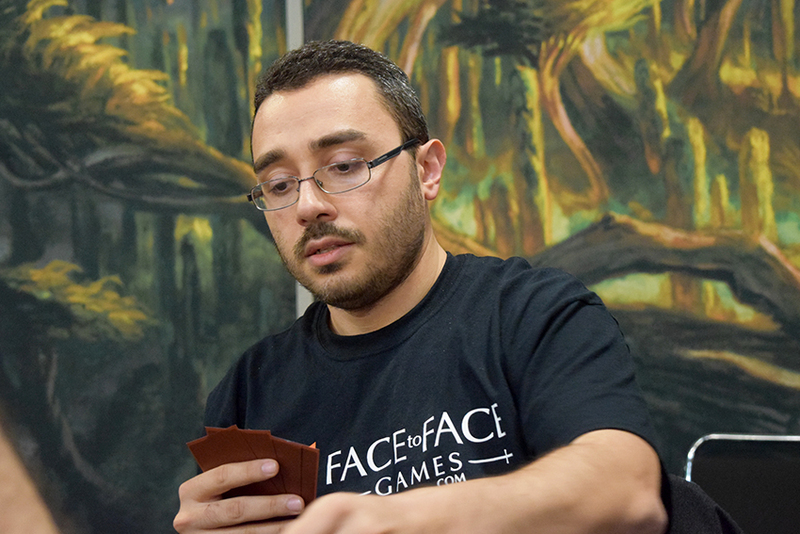 And boy did Team Face to Face games have an incredible weekend leading into the Pro Tour. 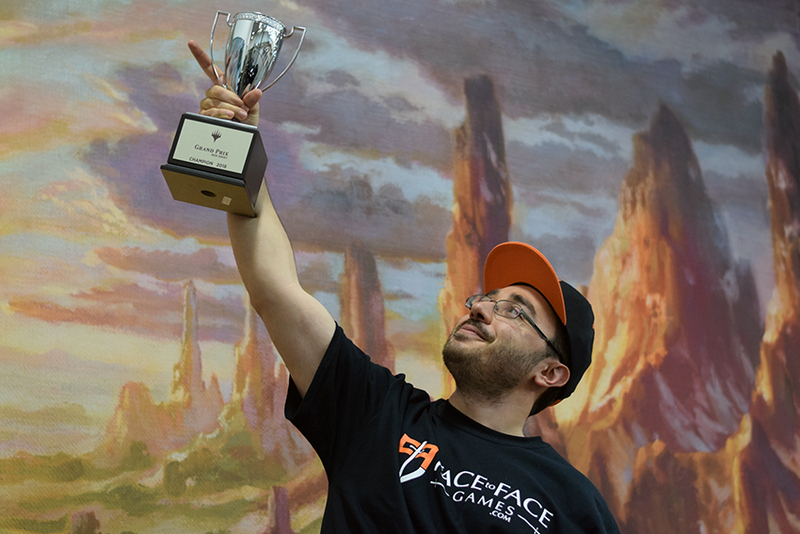 Not only did vet and Pro Tour Hall of Famer Gabriel Nassif finish in the finals of Grand Prix Lille, team newcomer Kassis takes down the trophy just a few hours later. Kassis said that winning a Grand Prix was on his Magic bucket list, and now he’s checked that box with verve. He has two new goals now, attaining Platinum player status, and finishing in the Top 8 of a Pro Tour. Well, he’ll have an opportunity next week, and I think he can confidently say he’s got a pretty good deck lined up already. Congratulations, Eli the Grand Prix New Jersey 2018 Champion!